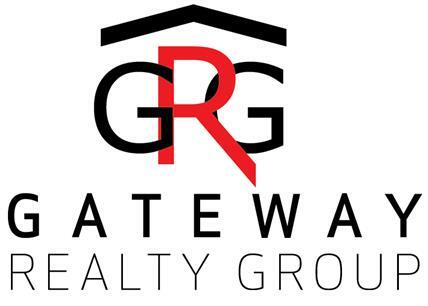 James is the Managing Broker of Gateway Realty Group, with over 24 years of sales, finance, and management experience in the real estate industry. He has a reputation for his friendly customer service and ability to guide buyers to obtain their dream home, and assist sellers to a smooth, stress free sale of their home. James understands that purchasing or selling a home is one of the most important decisions in a person’s lifetime. James is passionate about educating buyers and sellers to ensure that customers are comfortable during the sales process. James’s knowledge and expertise is attributed to his diverse experience in the real estate industry where he was President of Kensica Mortgage Banc and Midwest Mortgage & Financial Services. His background includes asset management, negotiating sales, and leasing of residential real estate property. James has experience working with first time home buyers to savvy real estate investors. James is currently a licensed real Estate Managing Broker in Illinois & Florida, Community Association Manager (CAM) in the state of Florida and Licensed loan originator in Illinois. When choosing James as your Realtor you can be assured that you will receive the most professional, prompt, and courteous service imaginable. James have always brought abundant energy, creativity, dedication, experience and personal knowledge to each transaction. You can be assured that he will stay on top of all the details of a deal, to provide a smooth and easy going transaction. Based on information submitted to MRED as of 04/19/2019 12:25 AM. All data is obtained from various sources and has not been, and will not be, verified by broker or MRED. MRED supplied Open House information is subject to change without notice. All information should be independently reviewed and verified for accuracy. Properties may or may not be listed by the office/agent presenting the information. Some IDX listings may have been excluded from this website. IDX information is provided exclusively for consumers’ personal non-commercial use, that it may not be used for any purpose other than to identify prospective properties consumers may be interested in purchasing, that the data is deemed reliable but is not guaranteed by MTP or MRED, and that the use of the MRED Data may be subject to an end user license agreement prescribed by the Member Participant’s applicable MLS if any and as amended from time to time.